A decade ago, I was in southern Argentina, on my travels around South America. 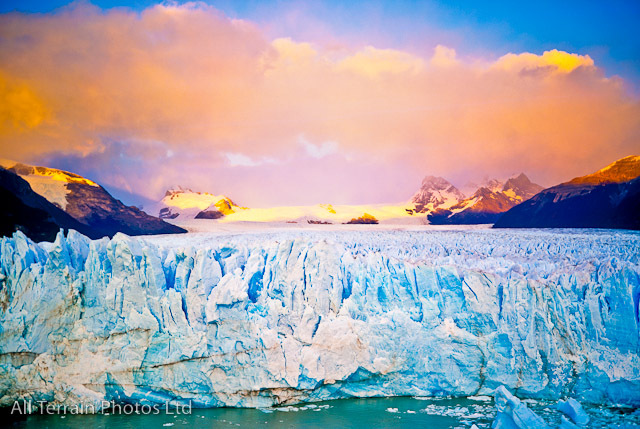 I have fond memories of camping out close to the Perito Moreno Glacier, with some friends from the Raleigh International expedition I had just completed. The previous night, we were kept awake by the violent sound of huge chunks of ice carving off the glacier. I arose at 4am and walked to the glacier to watch dawn break. It was a truly spellbinding moment. Unfortunately, the next time I visited the glacier, you were no longer allowed to camp in the National Park, so a doubly lucky moment. Here’s looking at you 2003!